Kitty Glitter - a Classic IGT Pokies Slots Game, try it FREE. Kitty Glitter is one of the top rated video pokies from IGT and features a superb free spin round, wilds, scatters and some amazing base game payouts. Unfortunately, this slot does not have a progressive jackpot, but with some stacked symbols, there are some nice payouts that can be generated. The game is all based on a cat theme and the game graphics are very appealing and colorful. With some nice animations and multiple paylines, this game will draw in many players and is one of the most played pokies at online casinos and has been around for many years, try FREE Kitty Glitter Slots Below! Since the theme of the game is all about cats, players will see some great symbols that appear on the reels. There are different cat breeds including a Persian, Calico, Tabby and Siamese. The game also makes use of playing card symbols for lower payouts. With some special icons in play, the game can produce wild payouts and scatter rewards. The graphics are enjoyable and each winning combination will result in animations on the screen. This game is played on a five reels and there are 30 different paylines that can be chosen. Most players will elect to play the game as a low punting pokie, but the coin amounts can be increased to provide a maximum bet of $300 per spin, which will surely appeal to mid rollers. The base game offers a fixed jackpot of 1000 coins, but with the free spin round, there are massive winnings that can be collected. The Kitty Glitter game logo is the wild and this can appear anywhere and take the place of all game symbols besides the scatter. The wild will not multiply any wins. The scatter is a Bowl of Diamonds and this will only appear on the middle three reels of the game. Getting two or more will offer a scatter payout and three will start the free spin bonus round. Players will start with 15 free spins and when a diamond appears on the reels, they will be collected in a meter. Every time three diamonds are collected, a symbol will become wild for the remaining spins. 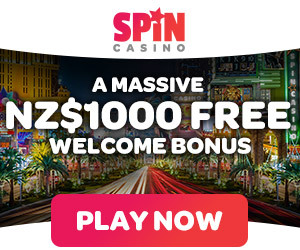 This feature can be retriggered, offering the chance to enjoy as many as 225 free spins. Kitty Glitter is a light hearted game that offers fun and excitement for everyone. The theme is enjoyable and the highlight is the free spin round, where huge winnings can be collected. Overall, this 30 payline pokie will provide much entertainment and players will be hoping for the bonus round to trigger. Though the game does not have another bonus, the free spin round is quite rewarding, though it does not trigger very often. The base game payouts are decent, allowing players to win as they play and extend their gambling session. Google + Profile: Tina Lim on April 7, 2015. on January 26, 2018.